If you are one of the 20,000 people who leave the military every year or a Reservist, we can help you make the most of your skills and experience. We understand the benefits and value they bring to our team so we’ve made a promise to help more people find rewarding work with us. We also feel this talent pool has been overlooked for too long by many businesses, so we are committed to helping ex-service people secure careers for the future. To help Reservists, we now offer 10 days additional paid leave for the annual 2 week deployment exercise. Our teams also volunteer to support veterans and the wider community. We have signed the Armed Forces Corporate Covenant so we’ve promised to support our ex-service men and women every day. We also work with ex-service recruitment specialists Civvy Street and the Career Transition Partnership (CTP). Our continued commitment to supporting the armed forces community has been recognised as we have been awarded a silver Defence Employer Recognition Scheme (ERS) award. 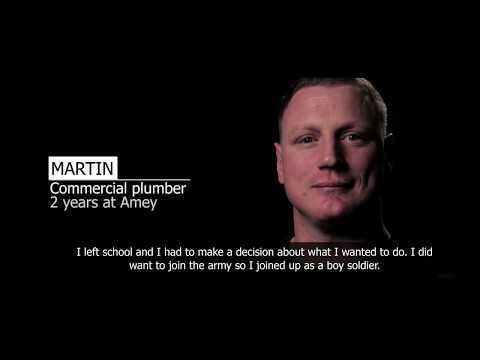 The Scheme (ERS) encourages employers to support defence and inspire others to do the same. We have aligned our values and activates to the Armed Forces Covenant which means we make it our mission to treat serving and ex-service personnel fairly. Working with recruitment specialists, CivvyStreet and Career Transition Partnership, we promote a range of Armed Forces friendly positions and openly employ members of the community. We now offer 10 days additional paid leave for the annual 2 week deployment exercise and our teams volunteer to support veterans and the wider community. We are actively looking for ways to enhance our support for the Armed Forces Corporate Covenant. The video content provider (Vimeo/YouTube) does not support the browser you are using, and it is no longer supported by Microsoft. Please speak to your system administrator to see if your browser can be upgraded to improve your experience and security.